This story was first published at 1:38 p.m. This gamble didn’t pay off. Since last June, 25 lottery machines leased by the state of Vermont have gathered cobwebs in storage — unplugged and unused — at a cost of $8,000 a month. That means the state has paid $72,000 in fees — for nothing. And the tab is still mounting. Neither the governor nor legislators were happy to hear about the losing proposition. "I don't like that we're wasting money and having these machines sit idly," Gov. Phil Scott said Tuesday. His staff learned about the situation in February while working on his proposal to merge the Lottery Commission with the Liquor Department. "It's a waste of money," said House Ways and Means Committee chair Janet Ancel (D-Calais), who has long opposed expanding the state lottery. Former governor Peter Shumlin's administration began leasing the consoles from the state's lottery software vendor, Intralot, in December 2014 and deployed them to 25 bars around Vermont. The 5-foot-tall Touch Play machines look similar to video games. Consumers can use them to play games called King's Gold and Bank Busters or buy Vermont lottery tickets. Lawmakers, however, worried the games would increase the state's dependence on revenue from gambling — particularly from those consuming alcohol in bars. At Ancel's urging, the House voted three times to force the machines out of bars before finally getting the Senate to go along with the legislation in 2016. The May 2016 Lottery Commission meeting minutes note plans to remove the machines from bars. "There are a couple of different methods that are being worked on with what do with the machines after that. Updates to follow," the minutes read. In June, the Lottery Commission pulled the plug on the machines, but apparently never worked out a plan to end the lease with the vendor. Ancel said lawmakers were never told that the state would continue to pay a lease for the consoles. In October, lottery executive director Greg Smith left Vermont to become lottery director in Illinois. Martha O'Connor, who served as Lottery Commission chair until March, said the leadership vacuum may have played a role in the situation. But lottery officials, she said, also wondered if lawmakers would come around on the consoles. "There was hope we could convince the legislature these were not sinful machines," O'Connor said. Because the commission is under pressure to generate money for the state's education fund, O'Connor said, she was surprised to find that the legislature opposed the consoles. Ancel, meanwhile, said she was miffed that lawmakers weren't consulted on what she considered a big change in practice for a state with a lottery motto of "Please play responsibly." "We're a state that fairly tightly controls gambling and I think the legislature ought to have a say," Ancel said. Scott could run into the same resistance that Shumlin did as his staff considers what to do with the mothballed machines — and the lottery's future. 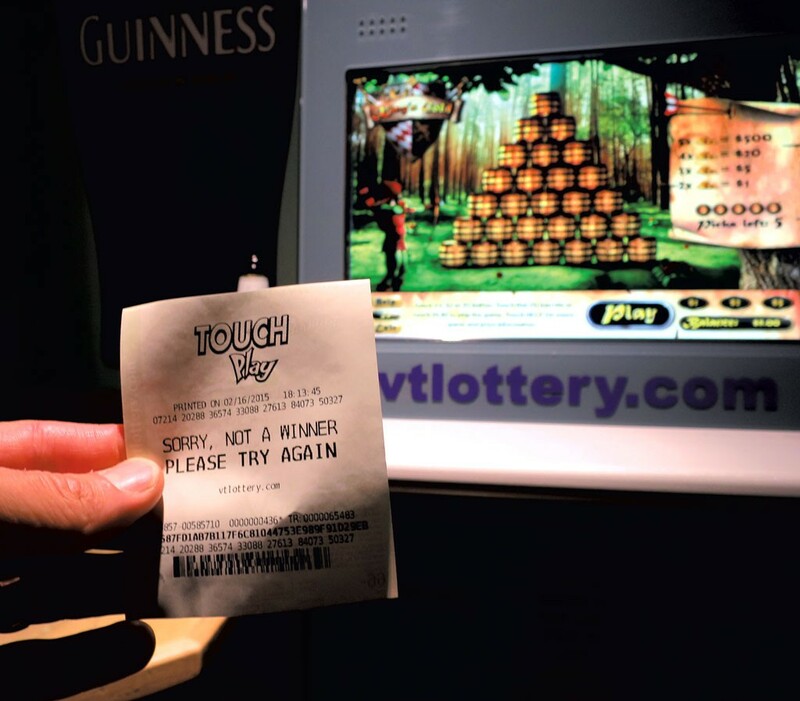 In a memo to legislators this month, Brittney Wilson, Scott's secretary of civil and military affairs, suggested that the state could generate $3 million annually by offering more lottery games, including redeploying, and even doubling, the number of the banned consoles. Those are just ideas, not firm proposals, Wilson said. Scott said he's not looking to dramatically increase lottery revenues. "If we could realize a bit more revenue, that's fine," he said. "It's not like I want to turn Vermont into Las Vegas." Wilson said she learned of the wasted expense while researching Scott's proposed Lottery and Liquor merger. She said an Intralot representative told her that the state could easily end the contract, or swap the machines for other lottery products. Intralot could not immediately be reached for comment. Ed Flanagan, a Lottery Commission member from Montpelier, said there have been efforts to find new outlets for the machines. "We have tried to deploy them elsewhere. However, there are some hiccups to that," Flanagan said. "They need to be in an area where people who are underage can't play them." Flanagan said the consoles will be discussed at the commission's monthly meeting Wednesday in Barre. He said the machines are being stored at Intralot's warehouse in East Montpelier. When in use, the 25 machines brought in $250,000 a year after expenses, Wilson said. The state is looking at options, she added, including ending the lease for the consoles. "There are some options," she said. But "sitting on this much longer," she said, isn't one. Scott expects to hire a new lottery executive director. One of that person's first duties will be to figure out how to stop wasting the $8,000 a month, Wilson said.